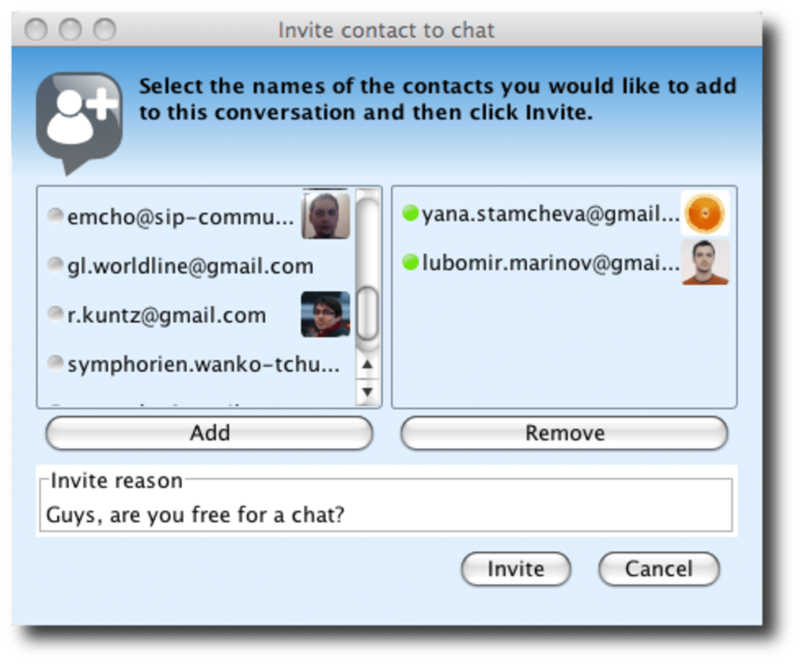 Jitsi is a free messenger client for Mac, which supports most major protocols and even supports video and audio conversations. Simply choose the IM protocol that you'd like to connect to including SIP, Google Talk, XMPP/Jabber, MSN or Windows Live Messenger, AIM, Bonjour, ICQ, Yahoo Messenger and Facebook chat. In the main window, you'll find all your personal contacts. 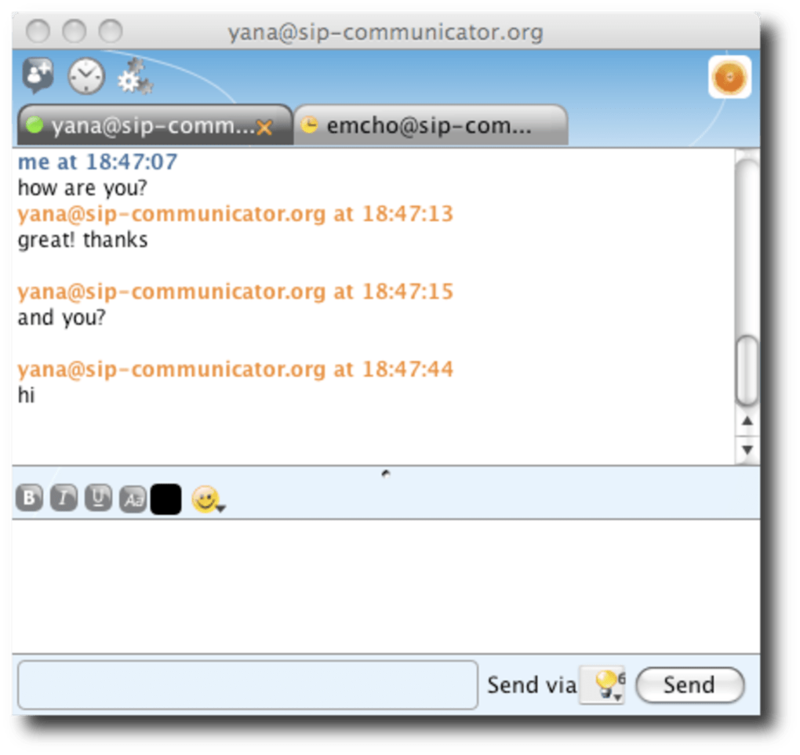 In the Jitsi chat window, you can exchange IM messages or initiate video or audio chats including group chats. There are a limited number of emoticons and the Jitsi keeps a history of your chats. Although the interface isn't quite as intuitive as Adium. However, the fact that you can initiate audio and video chats gives it a serious advantage. Note that this download link takes you to the nightly build page because Jitsi is being updated so regularly, that you can choose the latest version more easily. 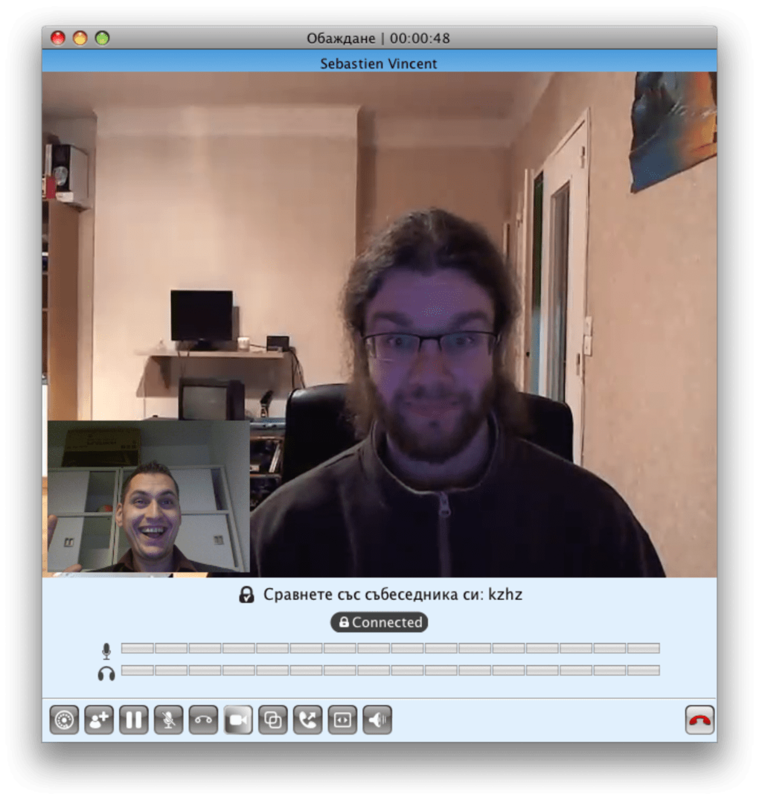 Jitsi might not be quite as slick as other IM clients but wide support of IM protocols plus audio and video chatting makes it a very interesting option. What do you think about Jitsi? Do you recommend it? Why?